The EGTC Platform integrates, under the coordination of the Committe of the Regions, political and technical representatives of all the existing EGTCs. The Platform aims to facilitating the exchange of experiences on the ground, promoting the EGTC as a tool for territorial cohesion and give visibility to the EGTC projects, and supporting the consultative works of the CoR in cross-border issues. 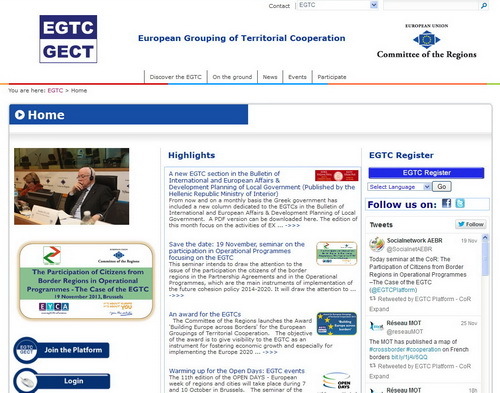 The European Grouping of Territorial Cooperation (EGTC) allows public entities of different Member States to get together under a new entity with full legal personality. 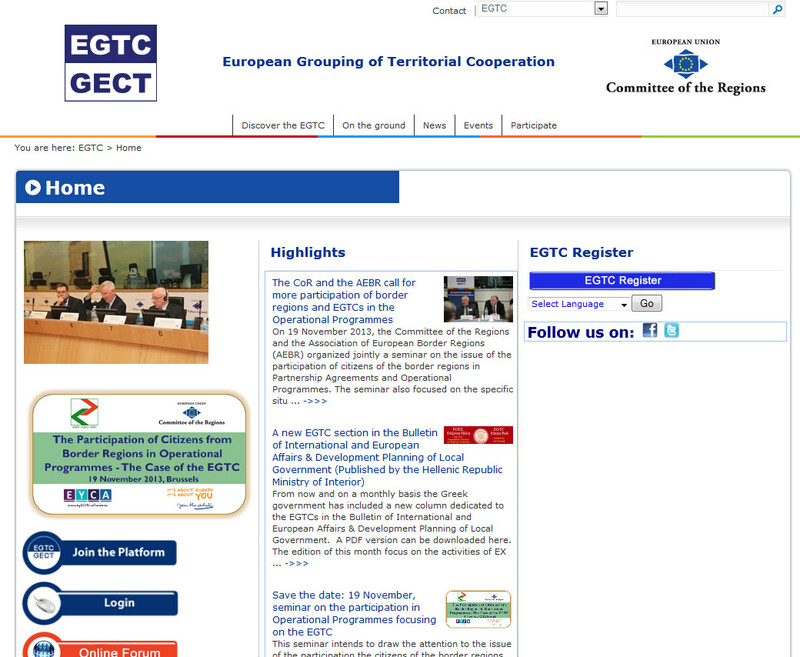 The EGTC was established in 2006 and was the first European cooperation structure with a legal personality defined by European Law designed to facilitate and promote territorial cooperation (cross-border, transnational and interregional cooperation), in view of strengthening the economic and social cohesion of the European territory.